Interagency Transfer Agreement transfers management of the Capitol Corridor train service to the CCJPA. 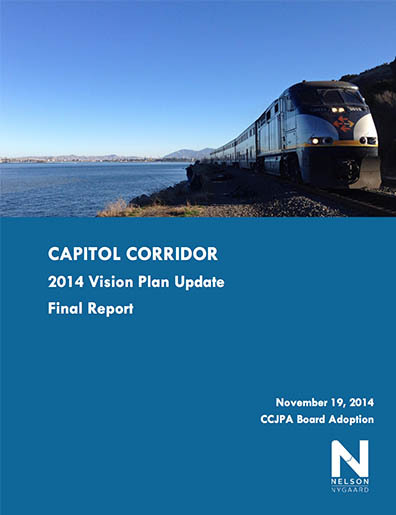 CCJPA begins managing the operations of the Capitol Corridor service with 8 trains between Sacramento and San Jose. CCJPA institutes service increase to 14 daily trains. 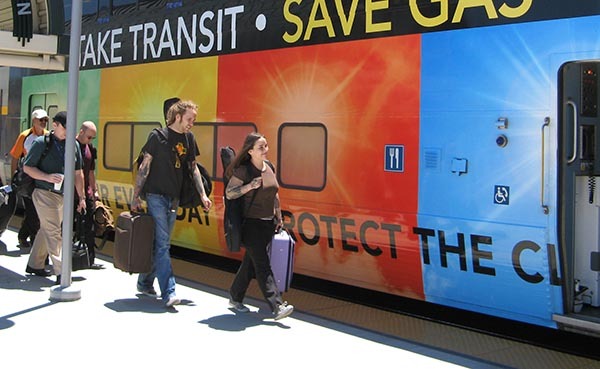 Service level increases to 18 trains per day between Sacramento and Oakland. 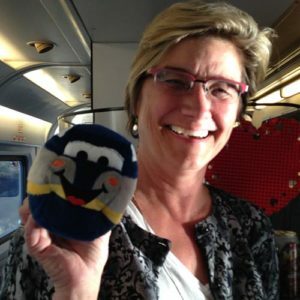 Capitol Corridor welcomes its One Millionth Passenger, Angela Smart, on board Train #523 to San Jose. 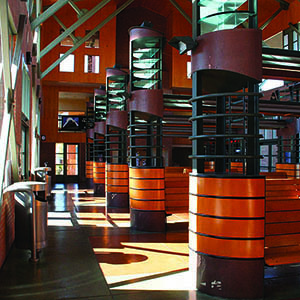 Remodeled Richmond Intermodal Station opens; today it is the fourth busiest station along the Capitol Corridor route. 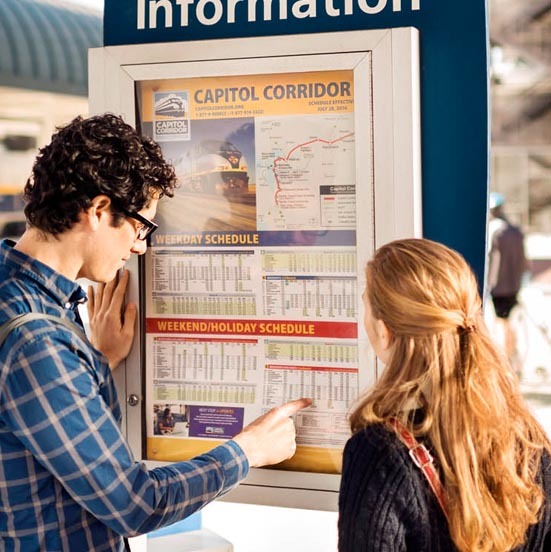 Capitol Corridor carries 1,080,000 annual passengers. 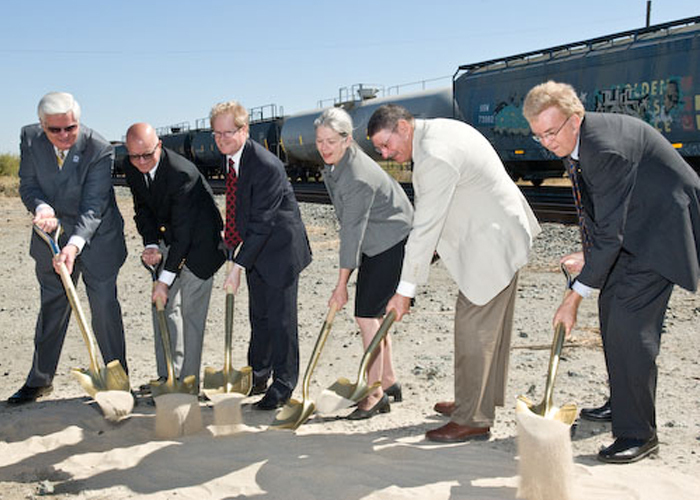 Construction kickoff for track/station improvements between Oakland and San Jose. 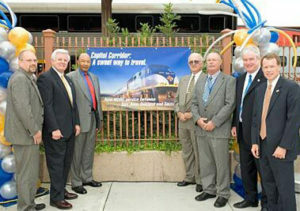 Oakland Maintenance Facility Groundbreaking and CCJPA increases service increase to 20 daily trains. 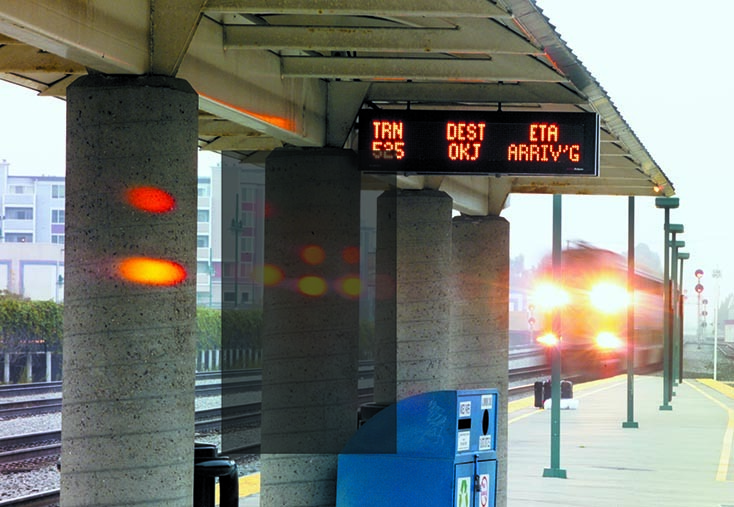 Service levels increase to 24 weekday trains between Sacramento and Oakland. Electronic Passenger Information Display Signs (PIDS) electronic signage installed at all Capitol Corridor stations. CCJPA initiates its first wireless Internet (Wi-Fi) trial. 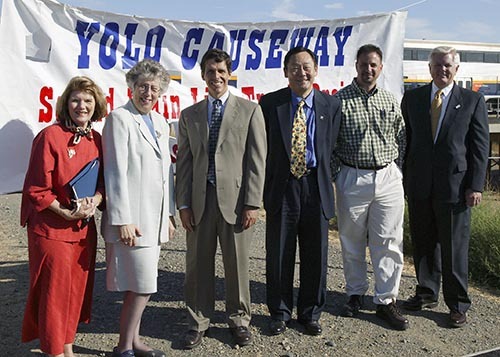 Yolo Causeway construction project underway, enabling a 10-minute reduction in travel time. 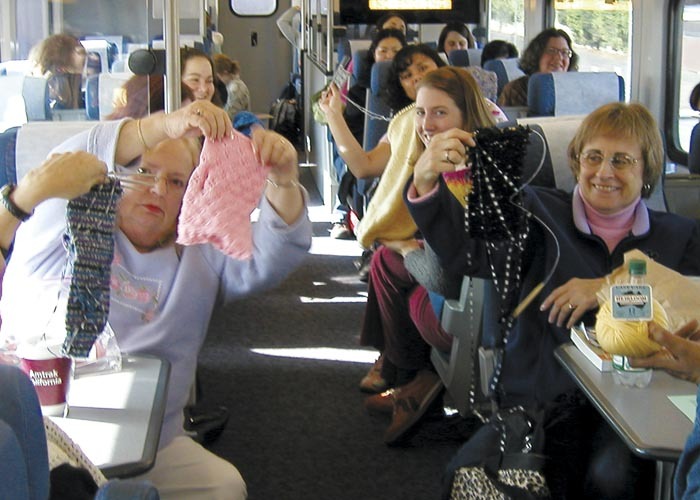 Capitol Corridor holds its first award-winning Stitch ‘n Ride™ promotion to encourage knitters to take the train to the annual Stitches West convention in Santa Clara. 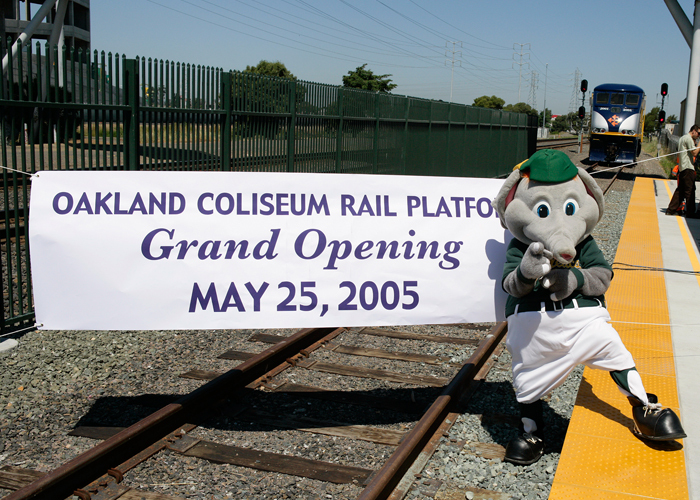 Oakland Coliseum Intermodal Station opens. Capitol Corridor welcomes its Ten Millionth Passenger, Kirk Swenson, on board Train #527 at Davis Station. 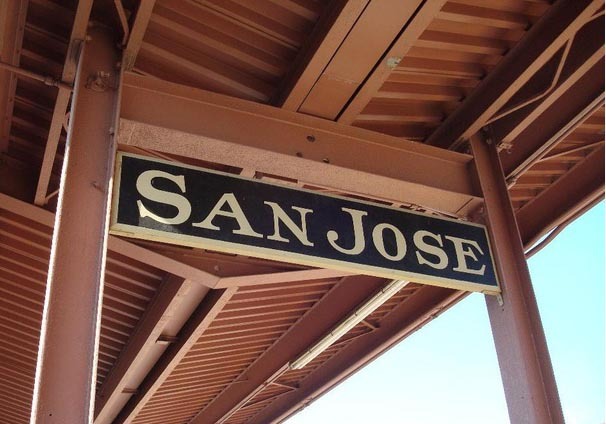 CCJPA announces its largest service expansion ever with an increase to 32 weekday trains between Sacramento to Oakland and 14 trains from Oakland to San Jose. Proposition 1B bond measure passes, authorizing new construction funds for intercity rail. 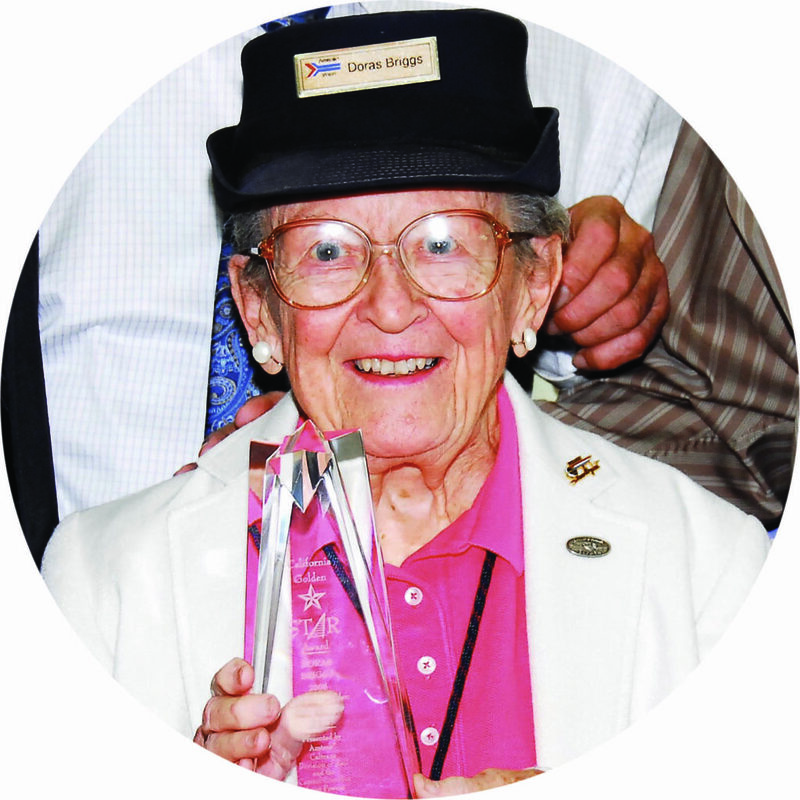 Capitol Corridor participates in the first National Train Day and honors Doras Briggs with the State Advocate of Rail (STAR) Award. participates in its first Spare the Air campaign to promote transit usage on anticipated high-pollution days. 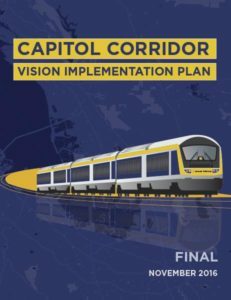 Passenger revenue now funds 50% of the cost to operate the service (system operating ratio), exceeding Capitol Corridor's budget goals. Bahia Crossover groundbreaking event in Benicia; this event kicks off the next phase of service and infrastructure improvements. Achieved On Time Performance of 93 percent - an all-time high. Fight Hunger One Stop at a Time, a two-week food drive that provided more than 700 pounds of groceries to feed 139 families. eTicketing formally launched. 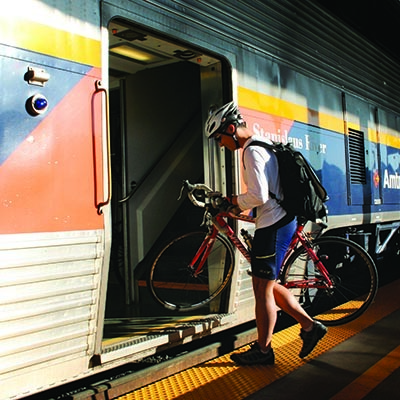 Capitol Corridor test and pilot programs contributed to eTicketing system development. 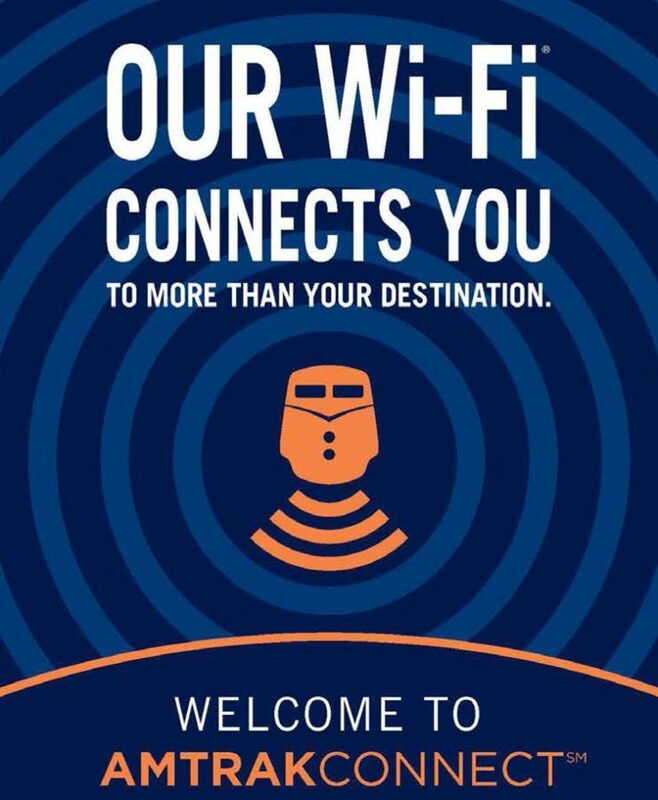 Capitol Corridor welcomes 20 Millionth Passenger as Ridership reaches 1.75 million riders. Reduced fuel consumption by 111,000 gallons due to installation of wayside power cabinets and engine upgrades. A comprehensive Bicycle Access Plan adopted by the CCJPA board. “Cappy Hour” launched onboard and features discounted drinks on select weekdays. 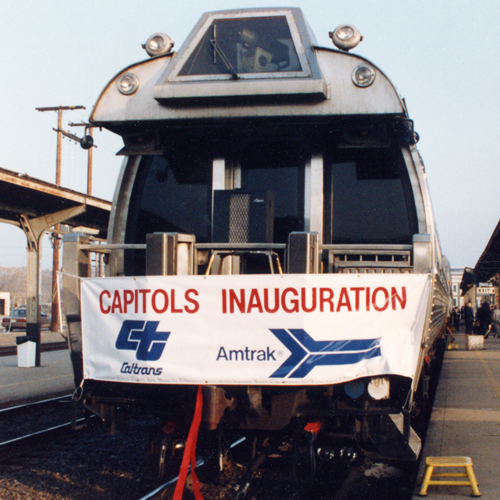 Reached 1st place in Amtrak system for On Time Performance, with a 95% OTP rating — the fifth consecutive year that Capitol Corridor was the most reliable service in the system. Vision Plan Update vol. 1 adopted. Revenue reaches $30 million annually. Interactive Real-Time train status launched to riders. 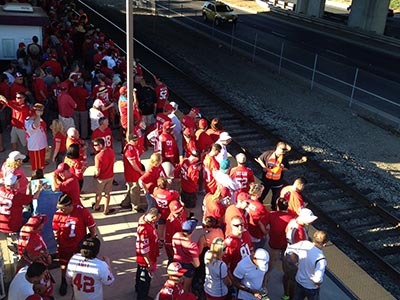 Capitol Corridor carries over 1,000 excited football fans to Super Bowl 50 at the newly-opened Levi's® Stadium in Santa Clara. 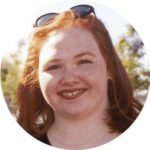 Launched Weekend Optimization schedule, biggest schedule change since 2006. 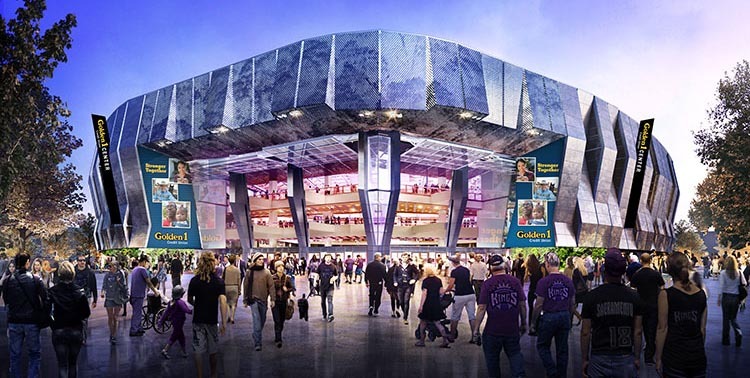 New schedule aligns trains with many events at newly-opened Golden 1 Center, and offers additional peak hour service to business travelers in Oakland and San Jose. 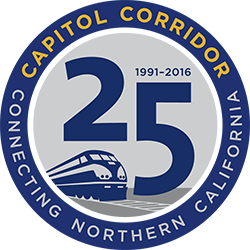 Capitol Corridor celebrates its Silver Anniversary.